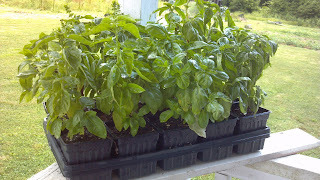 This has been our basil production method for our own kitchen for years! Potatoes - Make such a pretty plant. Plant the ones you have sprouting in your pantry. They should be planted 2-3 inches deep in loose soil. Each potato will need eight inches of space. For every additional potato, add that much space to the container. When the plant is about 18 inches tall, you can start harvesting "new potatoes" (a.k.a. small potatoes.) Dig gently with your fingers in the soil without disturbing the plant very much. Pluck off any potatoes larger than a marble. You have your first potato crop! 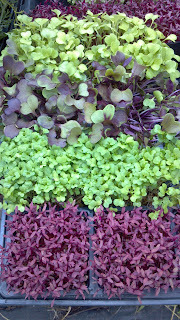 Microgreens ready in 5 days! Beans - Bush beans are spaced closely even in the field. They will be happy to help you with dinner from a container! They need about five square inches of surface space and a depth between 12 and 18 inches. The great thing about beans, besides the overnight germination and the encouraging growth rate, is the selection of colors available. The yellow and burgundy grow just as easily as the green beans so common in stores. 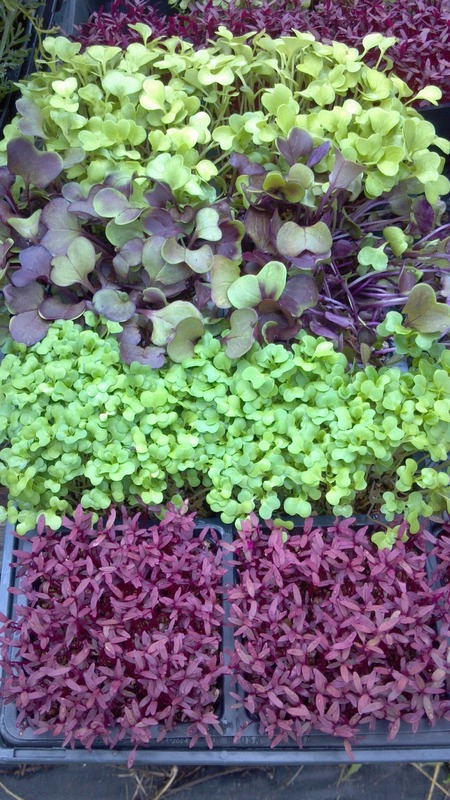 Here's a chance to add color to your diet - and more colors mean more nutrients! Harvest them young. They will get tough when the seeds start to bulge. Tomatoes - Several bush varieties of plants have shown up in garden centers in the past few years. But for continuous and prolific output, small tomatoes can't be beat! Cherry tomatoes, grape tomatoes and yellow, pear-shaped tomatoes produce almost as much fruit as a full-sized tomato plant! I have seen them hanging to the ground, covered in fruit. A full-grown plant of one of these varieties will be roughly the same size a really big hanging basket. Plant it in a container slightly larger than a hanging basket. Something a little smaller than a half-barrel would be perfect. 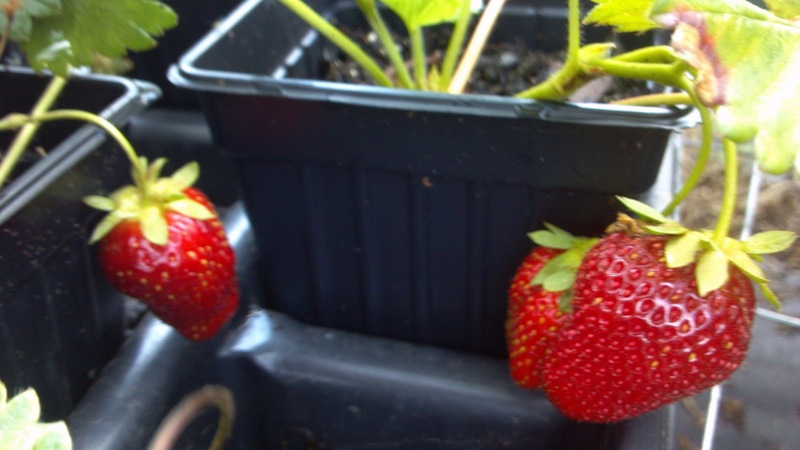 If you use a smaller container you will need to water it more often. Peas - What a great plant to cover an empty wall! They will grow in a hanging basket, but look incredible with their beautiful blue flowers climbing a trellis. String any type of twine over space that needs color and watch the show! This plant grows so fast and produces so many sweet vegetables, just checking on it is addictive! Harvest them early. The sweetness fades when the peas inside the pods get really big. Almost any vegetable can be growth in a container. Some just need larger containers. Citrus trees grow in containers for cryin' out loud! So choose your favorite vegetable, find out how big the root system grows, and get planting!